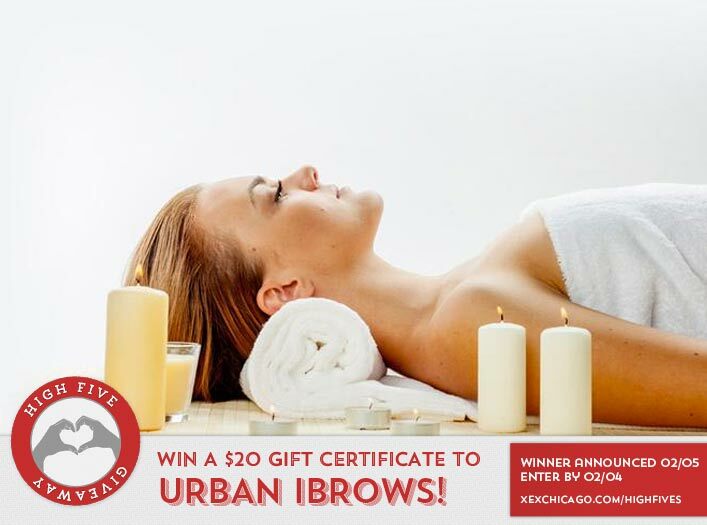 Win a $20 Gift Certificate to Urban iBrows! Congratulations to Etta McKenna on winning our 148th High Five Giveaway and thank you to all who entered! Our next High Five Giveaway is for a $20 gift certificate to Urban iBrows. Urban iBrows are our new neighbors in the Leo Burnett Building. Urban iBrows is a professional salon specializing in the art of threading and waxing. They focus on listening to our clients and delivering excellent services to look your best. If you don’t know which technique is right for you, their highly trained and licensed specialists will always take the time to learn about your needs and help you get that arch you’ve always wanted or whatever your desires. Urban iBrows is located at 40 W Lake St (in the same building as XEX), Chicago. Their phone number is 312-265-0281. Visit their website at www.urbanibrows.com/. We posted this quote on our Facebook page on Sunday, January 24: “It’s good as an artist to always remember to see things in a new, weird way.” Who is the quote by? Now, just add a comment to this post with the right answer to be eligible to win! The winner will be announced on Friday, February 5. Entries must be received by midnight on Thursday, February 4. All individuals 21 and older are eligible, whether you are a client of XEX or not. Must be able to pick up the gift certificate at XEX, 35 West Wacker Drive, Chicago. Must pick up gift certificate within 30 days. Leaving a comment opts you in for the XEX email list, which is sent out 1-2 times per month. You may unsubscribe at any time. One of my favorite directors, Tim Burton! The answer is Tim Burton! What a wonderful quote ! The quote is the words of Tim Burton! I agree that artists often see things others don’t see or see them from a different angle, but I don’t think artists have to remember to do this—it’s just who they are.